On Friday night in the NBA, there were some teams that had a frighteningly bad time while some basketball fans enjoyed a treat or two from their favourite team. 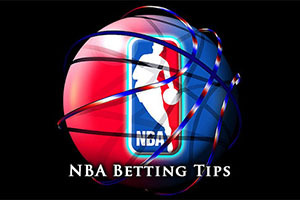 The Grizzlies defeated the Pacers, the Bucks overcame the 76ers while the Kings came out on top against the Trail Blazers. There was a win for the Cavs against the Chicago Bulls and NBA Champions the San Antonio Spurs were defeated by the Phoenix Suns. There was also a win for the Clippers against the Lakers in the big match in Los Angeles. The Mavericks are 1-1 after coming up short against the NBA Champions but then bouncing back with a win over Utah. The Mavericks cause was aided by Dirk Nowitzki and Chandler Parsons both grabbing 21 points in the high scoring win over the Jazz. Al-Farouq Aminu also grabbed 16 points for the Mavericks and as the Pelicans are a former team of the player, he will be looking to have an impact on this game as well. After the game, the Dallas coach spoke of the need for a lot of players to step up to the plate and get involved, which is something that Aminu will need to take on board. One player that will be looking to continue some good form is Omer Asik, who grabbed 14 points on his debut for the Pelicans. Ryan Anderson grabbed 22 points and given that he missed a massive chunk of last season with a herniated disc, he will be in a hurry to show his form for the Pelicans this campaign. There is not a lot between these teams but if you fancy home advantage to play a part in the game, the Pelicans are priced at 1.90 with a handicap of +1.0, so this could be of interest for your Saturday betting plans. Bet Now! Life without the King started strongly for Miami with Chris Bosh showing that he is keen to pick up the mantle of the top man for the Heat. Bosh picked up 26 points and 15 rebounds, the highest amount of points alongside 15 boards that Bosh has managed for the Heat. When you think that the player signed a $118m deal for five years in the summer, this was the sort of return that people were looking for and it was a strong win against Washington on Wednesday. Norris Cole was also on fire for the Heat, delivering 23 points. With respect to history, Miami had triumphed against the 76ers 15 times a row but then they lost two of the three games last season, which means that it is the first time they had lost this series since 2007/08. The 76ers are 0-2 but this is their first home game, and they will be keen to avoid going 0-3 for two years in a row. Nerlens Noel looked to be on form in his last game, grabbing 14 points, after a slow performance in the opening game of the campaign. The Heat are favoured strongly for this one and it may be that their odds of1.90 at -8.5 is worth examining. Bet Now! It was a tough summer for the Hawks with a lot of controversy caused by the executives of the club but with a losing start to the season, there is a need for Atlanta to shake it off and start to put things right. They will be keen to rectify matters with a home win over the Pacers. The team has made a number of changes in an attempt to stand the franchise apart from the unpleasantness of the summer and new uniforms, scoreboard and a new court are all part of the fresh new look for the Hawks. It looks as though it may have done the trick for the fans as the game is sold out and there are hopes for a record attendance at the Philips Arena. The Pacers will be looking to bounce back from a Friday reversal which sees them standing at 1-1. The Pacers will feel as though they have confidence going into this game but the bookmakers are firmly against them. With odds of1.90 for the Pacers at -10.5, it could be that you will get a good return if the away team is able to stay in touch with the Hawks. The home crowd may roar the Hawks on to victory but if the Pacers can stifle the home team, it could be a long night. Bet Now!